The Inspector Lynley Mysteries is a BBC police procedural that aired from 2001 to 2007. The series follows the titular inspector (Nathaniel Parker) Thomas Lynley and his assistant Sergeant Barbara Havers (Sharon Small) as they solve whatever crime of the week presents itself to them in roughly 90 minutes. This serialized tale of two mismatched investigators of the Metropolitan Police was based on a series of books by Elizabeth George, who is also credited as a series writer. All episodes were directed by Richard Laxton, Brian Stimer, Alrick Riley, or Robert Bierman. The series begins with the prickly, underappreciated Havers being paired up with a new partner she is not thrilled with, mistakenly thinking that being forced into this partnership may be a punishment. While this setup may be fairly standard for a cop drama, the series is set in Britain and class resentment strongly colors the series, their relationship and the way clues are assembled and dissected. Along the way they must both unlearn the prejudices that could get in the way of solving the mysteries. Working class Havers doesn't like the idea of working with (or more likely, for) Lynley whose Oxford educated titled status is a mark against him, as is a previous altercation with a colleague that resulted in him getting promoted and the other person getting fired, without pension. Both characters begin the series facing trying moments in their lives: Havers serving as full time caregiver to aging parents including a senile mother and Lynley having just watched the woman he loves marry his best friend. And while the local police departments may always resent their intrusion, they can rely on help from Lynley's psychologist friend, Helen (Lesley Vickerage) The Inspector Lynley Mysteries filmed in London, was produced and distributed by the BBC in the United Kingdom and by PBS in the United States. When the body of a child is discovered in the grounds of an Italian country villa, it seems for the English parents that the past has finally been laid to rest - their child had been abducted 15 years ago but never found, until now. Lynley, who as a family friend had played an ancillary role to the Italian investigation, goes out to Italy to support the family. But when he begins an affair with the family's now grown-up daughter - Julia - and she is then found dead in her Rome apartment, Lynley is hauled in for questioning by the Italian police. Is he guilty of her murder? Lynley's wife Helen helps with an investigation into the shooting of a photographer former war correspondent in Bosnia. Lynley and Havers are catapulted into the bizarre world of internet vice when they investigate the mysterious and brutal death of a young female barrister. Pursuing a violent criminal, Lynley and Havers are drawn to a family seaside town masking a sinister underworld. There, Havers is forced to confront some of her childhood memories. With Lynley suspended, Havers is assigned a new partner - the heavily pregnant, no nonsense Fiona Knight. Together they investigate the murder of a woman whose body was found in a local lake. Inspector Lynley Mysteries is currently available to watch free on PBS and stream on BBC America. 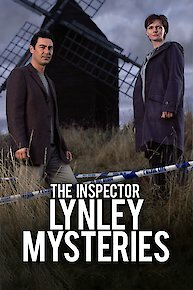 You can also stream, download, buy, rent Inspector Lynley Mysteries on demand at Amazon online.